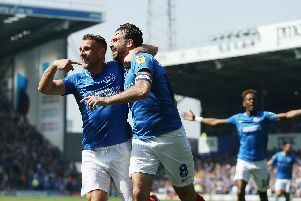 Pompey’s clash against Sunderland next month is a sell out. A bumper crowd will be inside Fratton Park for the League One fixture on Saturday, December 22 (3pm). A crackling atmosphere is expected, with both sides pushing for promotion into the Championship. The Blues currently sit at the summit of League One on 38 points, with second-placed Sunderland on 35 points. The Black Cats have a game in hand, however, and will leapfrog Kenny Jackett’s men if they defeat Wycombe on Saturday. A large Sunderland following will make the 776-mile round trip from the north east for the festive fixture, and will take up the Milton End. A ticket exchange is available for season-ticket holders who cannot attend the game.